Hong is a second-year PSE student and attends a private high school in Rochester, New York. He will graduate next year, and is already hard at work towards achieving his future career goals. 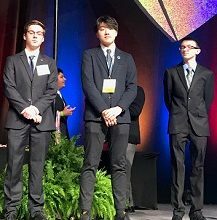 Hong, who is originally from South Korea, participated in the 2018 DECA Regional Competition held at the Rochester Institute of Technology in January, and placed in the top five of the Principles of Finance category. His placement qualified him for the DECA New York State Career Conference held in Rochester earlier this month. Hong says that he first became involved in the DECA chapter at his high school at the beginning of this school year. 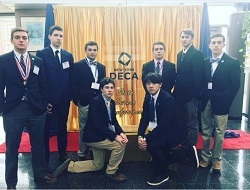 DECA is a not-for-profit international student organization with over 3,000 high school chapters in the U.S. that offers students an opportunity to build and develop business and entrepreneurship skills to prepare them for careers in marketing, finance, business administration, and hospitality/tourism. 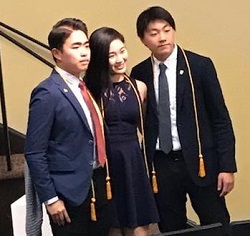 Hong explains that the school’s DECA chapter president noticed his affinity for science and math, and invited him to join the program at their school. Hong enthusiastically agreed, and found out shortly thereafter that he would be participating in the regional competition the following week! 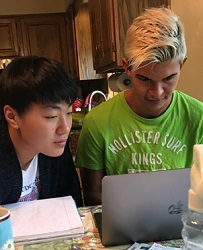 With only one short week to study for his specific category in the competition, Principles of Finance, Hong turned to both his teacher and his host father for help. “Luckily, my host father, Steven, has experience as a bank manager and he was therefore able to help me study for the Principles of Finance category. I had a mock event guide provided to me by my teacher to help me study for the competition,” Hong explains. 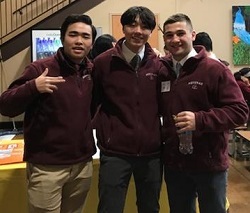 After qualifying for the New York State Career Conference, Hong competed against other students within his Principles of Finance category at the state competition in March 2018. 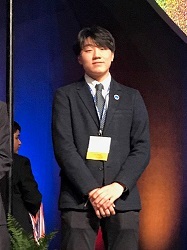 Unfortunately, he did not place high enough at this event to qualify him for participation in higher levels of DECA competitive events this year, however Hong is very thankful to have had the opportunity to participate in the program and develop new skills. He says the program especially helped him develop skills in the areas of finance, public speaking, and leadership. Hong has lived with the same host family both years he has been on the PSE program, and describes them as being great people. He gets along with them very well, and considers himself lucky to have such a great host family. Hong participates in a number of other extra-curricular activities at his high school, and serves his local community through volunteer work. “We’ve been very impressed with Hong and his accomplishments,” says Steven. Glori, Hong’s Local Coordinator, explains that one unique and impressive quality about Hong is that he has really put forth a lot of effort to make friends with a variety of students and people from different nationalities and backgrounds during his time on the PSE program. Hong has appreciated Glori as well, and the support she has offered him throughout the program. 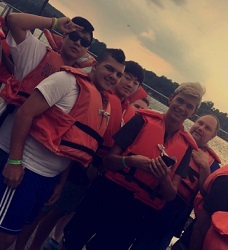 Upon reflection, Hong believes that his experience on the PSE program has impacted him the most by helping him to become more outgoing and adventurous. 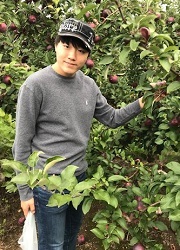 He plans to attend college next year in the U.S. and hopes to study either mechanical engineering, biology or architecture.